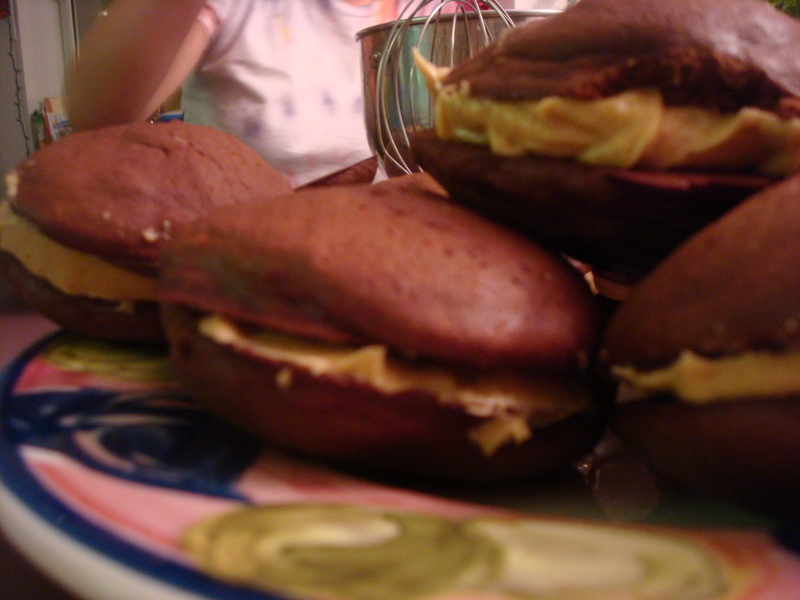 Whoopie Pie | Baking and Caking! Sunday night. What a night. I always feel like the world is converging on me on Sunday evenings. All the work that I have procrastinated on over the weekend finally must be done and the impending doom on Monday morning looms near. This is my final week coming up. I can’t believe it. Time has flown by. I guess in a sense that is good, but I also love being here so much and all the people that I have met that I don’t ever want it to end. I’m definitely looking forward to a nice big break though. I don’t think much sleeping will be happening this week given the amount of writing and reading that has to take place before Friday (which is case you forget is also the first night of Chanukah! woot woot!) This all being said, I thought this evening would be a perfect time to take a break, well kind of since there was still some work going on, and bake! I have a group project due in one of my classes tomorrow and instead of making it a strictly study session, my lovely friends and I decided to join the prospect of baking and learning altogether to create a quite enjoyable evening. 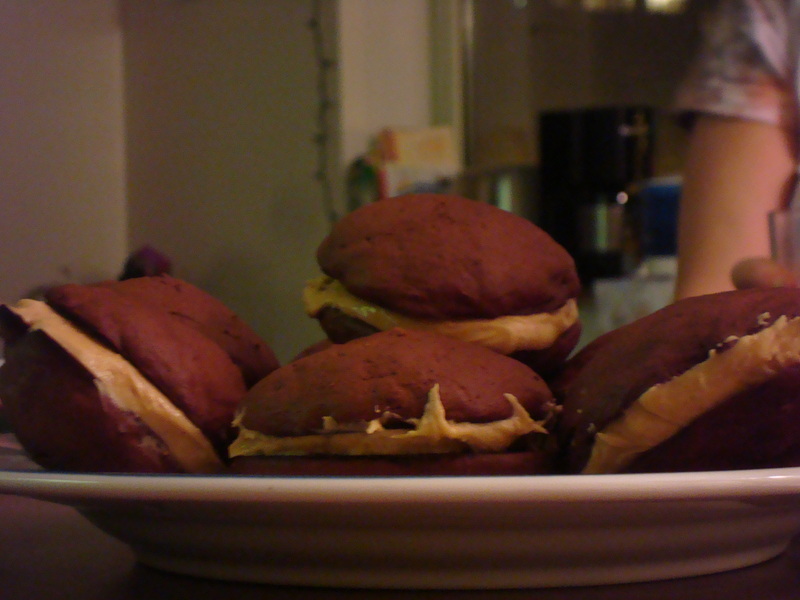 As we worked and discussed on our project – which I’ll have you know has clips of an almost naked Brad Pitt – we whipped together some peanut butter whoopie pies. I would definitely make these again and now plan on having all my future study session combined with baking parties! 1) Make cookies: Preheat the oven to 400 degrees. Sift together flour, cocoa powder, baking soda, baking powder, and salt into a small bowl; set aside. 2) Put butter and sugar into the bowl of an electric mixer fitted with the paddle attachment. Mix on high speed until smooth, about 3 minutes. 3) Add eggs, buttermilk, and vanilla; mix until pale and fluffy, about 2 minutes. 4) Slowly add dry ingredients until well combined. 5) Drop rounded tablespoons of dough onto baking sheets lined with parchment paper, spacing 2 inches apart. Bake until cookies spring back when lightly touched, about 10 minutes. 6) Let cool on sheets on wire racks 10 minutes. Transfer cookies to wire racks using a spatula; let cool completely. 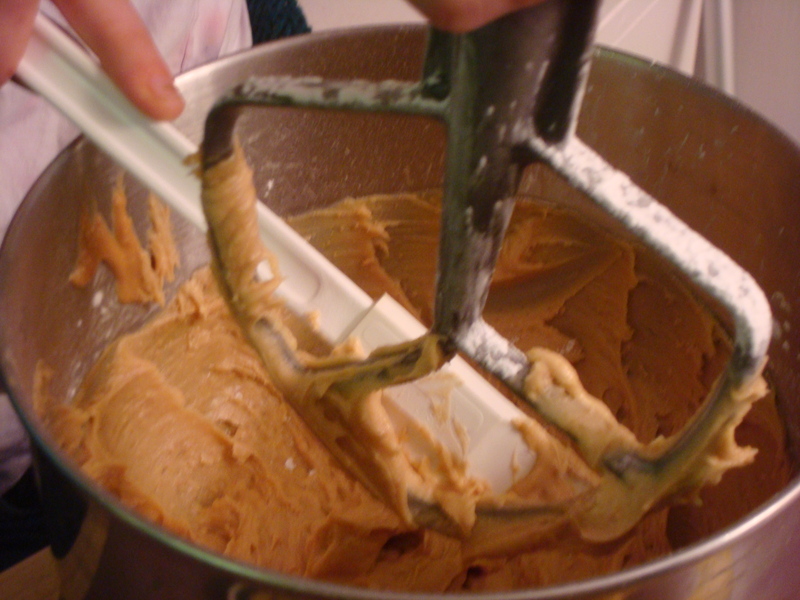 7) Make filling: Put peanut butter and butter in the bowl of an electric mixer fitted with the paddle attachment. Mix on high speed until smooth. Reduce mixer speed to low. 8 ) Add confectioners’ sugar; mix until combined. Raise speed to high, and mix until fluffy and smooth, about 3 minutes. 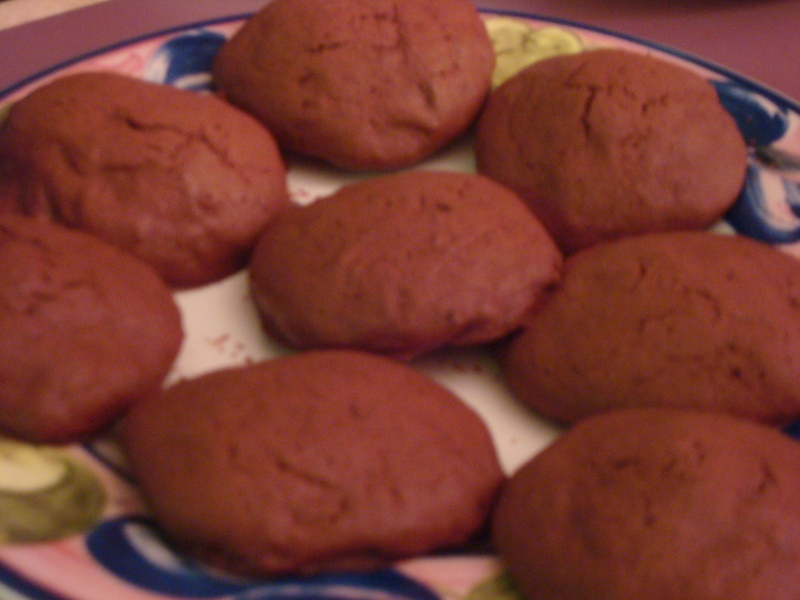 9) Assemble cookies: Spread 1 tablespoon (I’d say more) filling on the bottom of 1 cookie. Sandwich with another cookie. Repeat with remaining cookies and filling. 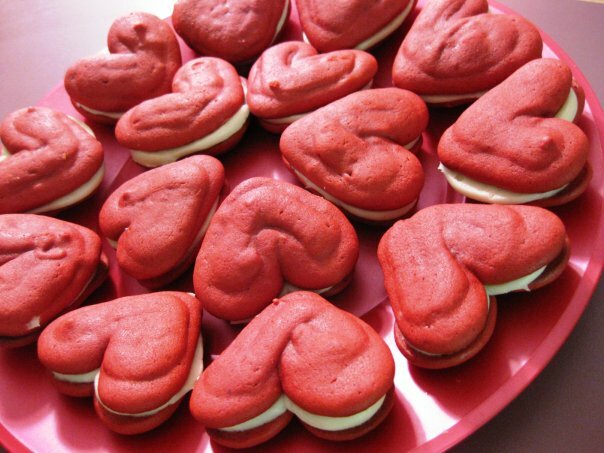 Cookies can be refrigerated in single layers in airtight containers up to 3 days. Bring to room temperature before serving.